Tehran’s chief prosecutor said Friday it was only a matter of time before opposition leaders are put on trial for the unrest following the disputed 2009 presidential election, the latest sign that Iranian authorities may make a potentially explosive escalation of their crackdown. Hundreds of opposition supporters have been arrested and tried in the fierce crackdown that crushed opposition protests in the wake of the election, which the opposition claimed hard-line President Mahmoud Ahmadinejad won by fraud. 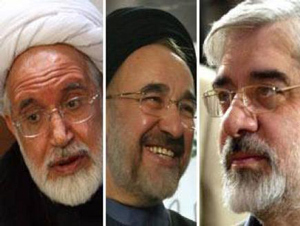 So far, authorities have stopped short of trying to jail the reform movement’s top leaders — Mir Hossein Mousavi, who claims to have been the real victor in the election, fellow candidate Mahdi Karroubi and former President Mohammad Khatami — apparently out of concern it could spark a new wave of protests and fuel the opposition. But a series of recent public warnings by hard-liners that they could be tried may be a sign that Iran’s Islamic clerical leadership believes the opposition has been sufficiently suppressed that their arrest would not bring a significant backlash. On Friday, Tehran prosecutor Abbas Jafari Dowlatabadi told worshippers at Tehran University that the opposition leaders are criminals who sought to topple the ruling Islamic system through street protests. “We’ve said many times … that leaders of sedition are criminals and charges against them will be investigated. That they will stand trial is definite,” Dowlatabadi said in his address, broadcast live on state radio. Mousavi and Karroubi said earlier this month that they are already living in a “big prison” and didn’t care if they were put behind bars in a “small prison” for defending the trampled rights of the Iranian nation. 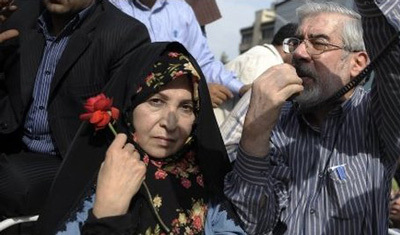 Mousavi recently likened Iran’s ruling system to a North Korean style dictatorship with a few cosmetic democratic gestures and criticized the disputed June 2009 election as a coup against democracy. Iranian opposition leader Mir Hossein Mousavi called for a referendum on the policies of hardline President Mahmoud Ahmadinejad which he said had left the country isolated. “Who gave you the authorization to leave Iran at odds with the whole world through your adventurist and dictatorial policies?” the opposition website kaleme.com quoted Mousavi as saying. Mir Hossein Mousavi said the president’s actions on the world stage, such as a speech at the U.N. last month in which he questioned 9/11, have helped deepen Iran’s isolation and worsen its economy. “We may hear cries of hurray at coffee shops in some Arab countries, but the real effect of the speech will be felt more everyday … in the market and the national economy,” Mousavi said. “Hold a referendum and let’s see if the people support these destructive policies or not,” he said. The opposition chief has never accepted the official results of a presidential election last June which saw him defeated by Ahmadinejad in the first round. The results sparked a wave of mass protests in Iranian cities which triggered a government crackdown. 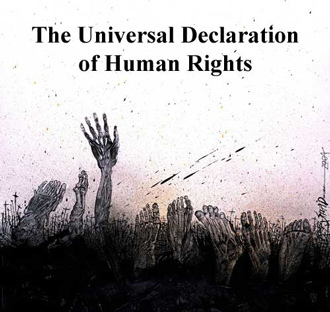 In the postelection crackdown, more than 80 demonstrators were killed and hundreds of activists and pro-reform figures were arrested which some still remain in jail until now. The government, which puts the number of confirmed deaths at 30, accuses opposition leaders of being “stooges of the West” and of seeking to topple the ruling system through street protests. As Mousavi said also this brutal regime is suffering from dangerous illusions. 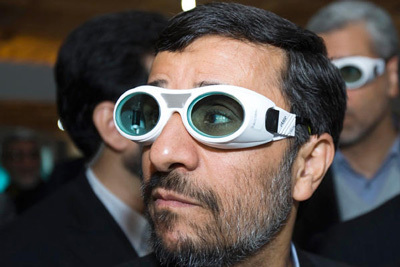 Mousavi lashes out at Ahmadinejad lashes out at U.S. He is apparently referring to Ahmadinejad’s description of the U.N. sanctions as “annoying flies” and a “used tissue.” Mousavi did not directly mention Ahmadinejad or the president’s remarks on the sanctions. Does he playing hide and seek? Time is passed for these games Mr. Mousavi. For sure he doesn’t want Iran’s nuclear enrichment to be stopped because in 1987 during his tenure as prime minister, Mousavi directly approved the acquisition of clandestine centrifuge technology from Pakistan’s A.Q. Khan Network. In the late 1980s, the Khan network began to provide nuclear components to Iran; additionally, during Mousavi time in office, Iranian scientists were sent to Pakistan for training in nuclear technology. 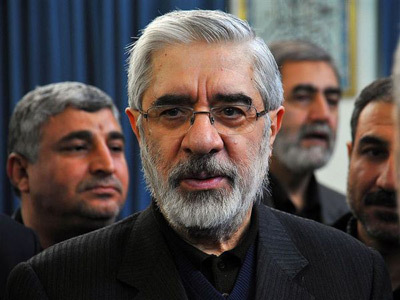 On April 2009, Mir-Hossein Mousavi says he will push ahead with Iran’s nuclear activities and will never halt uranium enrichment if elected. “No one in Iran will accept suspension,” the Financial Times quoted Mousavi as saying in his first interview with the international media. Ahmadinejad also called the United States a global dictator and lashed out at Israel after arriving in Nigeria to meet fellow Muslim leaders at a summit. “They are the self-proclaimed leaders and everybody should know that self-proclaimed leadership is dictatorship,” Ahmadinejad, referring to the United States, told an audience of hundreds at the Iranian embassy in Abuja. “The era of dictatorship is over,” he added through an official translator. How many percent of Iranians support the regime’s nuclear program? Do we really know that Iranians support the regime’s nuclear program? This remains a big question for everybody because of the Propaganda. There were lots of proper polls through these years (2006-2010) which I mention below. According to a February 2006 survey conducted by the state Iranian Students Polling Agency (ISPA), some 85 percent of Iranian citizens are in favor of a continuation of the country’s nuclear activities. The poll also said that about 75 percent of the citizens called for an expansion of nuclear technology, even in the case of a referral of Iran’s nuclear case to the UN Security Council. According to The survey, provided to The Associated Press on 2007, was sponsored by Terror Free Tomorrow, 52 percent of Iranians said they favor their country developing nuclear weapons, with the same percent saying their world would be safer if Tehran acquires such arms. Fifty-two percent also said it is important that Iran use its oil and gas revenue to develop nuclear arms. International Policy Attitudes (PIPA) offered respondents three alternatives regarding the nuclear program. The report released at Feb 2010. Asked whether Iran should develop nuclear energy and nuclear weapons, only nuclear energy, or have no nuclear program whatsoever, 37 percent of respondents who said they had voted for Mousavi in the 2009 election chose energy and weapons, 57 percent chose nuclear energy only, and only six percent wanted no program at all. The figures for Iranians in general were similar – 38, 55 and three percent, respectively. The official Iranian News Agency (IRNA) highlighted only the general finding of 85.4 percent majority support for the resumption of the nuclear program. ISPA revealed, however, that the level of support drops to 74.3 percent in the case of referral to the UN Security Council, and drops further in other scenarios—to 64 percent in the case of economic sanctions and to 55.6 percent in the case of military actions against Iran. Now is six months passed from the last polls by PIPA and Iranians are suffering from poverty and unemployment more than ever before, as its effect percentage of nuclear program supporters drop off much more every day. 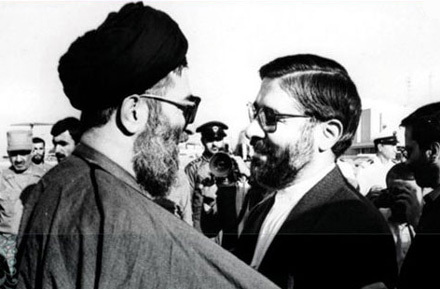 He was an early supporter of Iran’s nuclear program, and one of the documents revealed that the then-head of Iran’s atomic energy organization requested Mousavi’s approval for purchasing the centrifuges on the black market. Iran subsequently acquired the centrifuges through the smuggling ring of Pakistani scientist Abdul Qadeer Khan. Notably, in 1987 during his tenure as prime minister, Mousavi directly approved the acquisition of clandestine centrifuge technology from Pakistan’s A.Q. Khan Network. 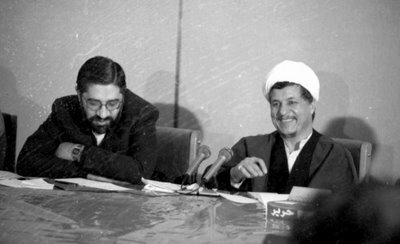 In the late 1980s, the Khan network began to provide nuclear components to Iran; additionally, during Mousavi’s time in office, Iranian scientists were sent to Pakistan for training in nuclear technology. He said that Iran halted its enrichment work between 2003 and 2005 in the hope that it would build confidence in the peaceful nature of its program. The Reformist candidate described suspension as a “bad experience and a tool to deprive Iran of having access to nuclear technology”. He said if elected, his policy would be to work to provide “guarantees” that Tehran’s nuclear activities would never divert to non-peaceful aims. 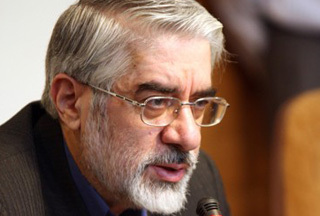 On December 2009, Mir-Hossein Mousavi has sharply criticized the outcome of Iran’s talks with world powers, making clear he was against a proposal to send enriched uranium abroad, a reformist website reported. “The discussions in Geneva were really surprising and if the promises given (to the West) are realised then the hard work of thousands of scientists would be ruined,” Kaleme website quoted Mousavi as saying, in a clear reference to the fuel plan. “And if we cannot keep our promises then it would prepare the ground for harder sanctions against the country,” he said in a meeting with pro-reform cleric Mehdi Karoubi, Kaleme reported. Then it was Mousavi who initiated Iran’s nuclear program in the 1980s and likely would be intent on carrying through Iran’s nuclear ambitions. “The Iranian people are rallying to the opposition movement because of its religious appeal,” opposition leader Mir Hossein Mousavi said. Mousavi said his movement would continue to enjoy support so long as its leaders follow a receptive religious ideology, reports Radio Zamaneh, a Persian news service in the Netherlands. He blamed the leadership in Tehran for turning its back in religious teachings. “There must be no actions taken in the name of Islam and religion that may, god forbid, compromise these beliefs and faith,” he said. He went on to criticize the justice system in Iran as un-Islamic. Tehran last week sentenced six members of the exiled opposition group the People’s Mujahedin of Iran. I don’t think Mousavi knows what’s going on or what ? Now he thinks this system is Un-Islamic and wants to make it more Islamic. But is this what people want ? No, not at all, People had ruled by an Islamic Regime for 31 years and Now enough is enough, Mr. Mousavi .